‘The Wild Swans at Coole’ is a poem by W.B. Yeats once again lamenting due to his loneliness. It consists of 5 regular stanzas, with a regular rhyme scheme of ABCBDD. The couplet at the end seems odd when read, as the rhyme appears to be too early. This change in rhyme emphasises the changes in Yeats’ life. The voice of the poem is Yeats himself as he walks in the autumn to Coole park to observe the swans and reflect on the changes that have happened in his life since he was last there. There is a lot of cold pastoral language in this poem, which gives it a natural feel, “autumn beauty”. Some of these phrases give the poem a cold feel, “Under the October twilight the water/Mirrors a still sky”. 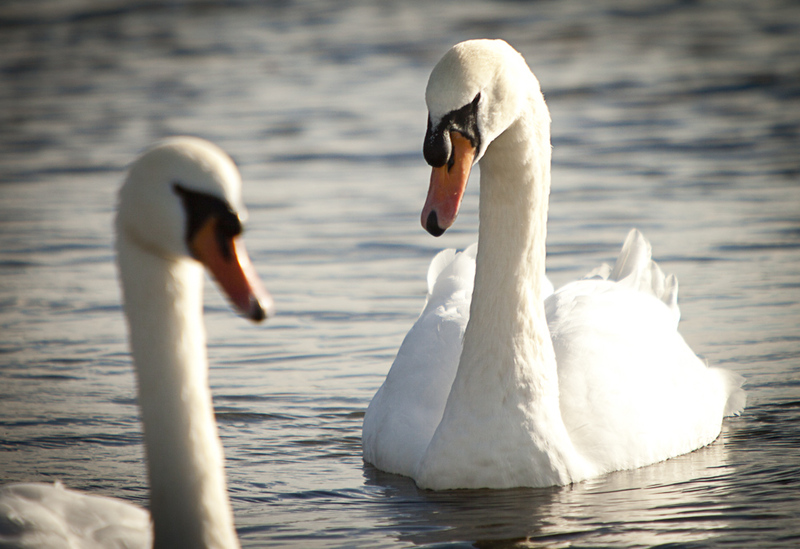 One of the phrases, “companionable streams” makes the reader think of companionship, and the relationship that the swans have with their home, the stream. The use of the word “companionable” makes the stream seem homely and welcoming, which contrasts with the rest of the poem. This could be to show how the swans feel about life in comparison to how Yeats feels. Change is most definitely one of the main themes of this poem. Yeats is in Coole Park in the “autumn”, a time at which the leaves are changing colour. Yeats says that he counts the swans, and that the last time he had done this was nineteen years ago, “The nineteenth autumn has come upon me/Since I first made my count;”. Many things changed in the world in these 19 years, WW1 occurred, and closer to Yeats’ heart, the Irish Civil War. As well as this Yeats was realising that Maud Gonne would never love him. The idea of change is also presented with the idea of “wheeling in great broken rings” which makes the reader think of the ideas of gyres and the circle of life. The “rings” show change as they turn but are not complete. The word “broken” is ambiguous, and could mean a broken heart, a broken Ireland, or even broken attitudes. In contrast to Yeats’ life, Yeats observes that the swans have not changed, they still “paddle in the cold”. Unlike Yeats, “their hearts have not grown old” and the way Yeats writes this makes him sound almost jealous of the swans, almost bitter. The phrase “lover by lover” shows how the swans have companionship with each other, and Yeats may even be jealous of this fact. However Yeats’ loneliness is reflected in the phrase “nine-and-fifty swans”. The odd phrasing of this (most people would simply say fifty-nine) emphasises how one of these swans will be alone, just like Yeats. The last lines, “when I awake some day/To find they have flown away”, makes Yeats sound as if he has a sense of longing to go with the swans. This coupled with some of the lines earlier, may even make the reader feel that Yeats wants to be a swan, or whatever he feels the swan represents. Yeats wants to live life carefree, and move “lover by lover”, full of companionship, and yet this isn’t the case. The line shows there’s nothing left in Yeats’ life, and his diminished self and faded dreams. The swans could be parallel to Gonne, as she has left Yeats too, and Yeats doesn’t want that to happen again. Yeats does not appear in his poetry to be a particular feminist, yet we as readers have to realise that in those days it was frowned upon to do so. Yeats was living in a sexist and oppressive time, and seemed to realise that he couldn’t help women through his poetry, writing is not always about truth. However many of his poems suggest that he deeply admired women, and may have simply been a strong advocate for women who struggled to show his opinions in the time that he lived in. The woman he refers to most is Maud Gonne, the love of his life who didn’t love him back. His opinion of Gonne is obviously that of desire, yet also slight bitterness, as she does not love him. Gonne was very feminist, and stood up for women’s rights, and so Yeats most likely supported her views to try and win her affection. Yeats also mentions Constance Markiewicz and Eva Gore-Booth in several of his poems, revolutionary leaders who he seemed to admire deeply (at least enough to write poems specifically about them). Yeats was obsessed with the Occult, which rejected the sexist norms and was very pro equality, thus we can assume that he also took this stance. Social and cultural change or erosion: It seems that after independence is achieved, one main question arises; what is the new cultural identity? Yeats examines the idea of change very often in his poetry, especially considering change in Ireland and change in people. For example, in ‘September 1913’ Yeats compares the Ireland of 1913 to “Romantic Ireland”, and in ‘Easter 1916’ Yeats compares the “vainglorious lout” of MacBride who abused Gonne to the revolutionary hero – “transformed utterly” from what he was due to his brave and heroic actions. ‘Easter 1916’ is heavily about change, “all changed, changed utterly” and how the revolution has changed the society of Ireland.